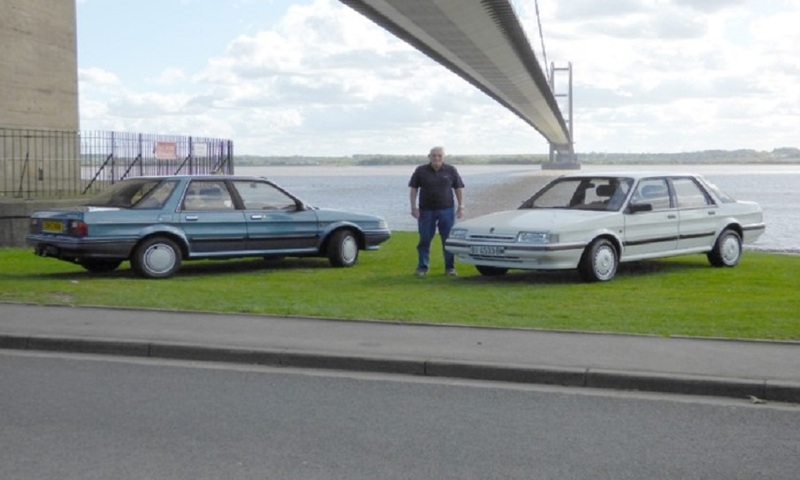 The route is starting at JCT 600 VW Dealership at Saxon Way, Priory Park West,Hessle then Over The Humber Bridge. Stopping Places at Services:- Birchanger Birchanger on M11 should be around 1ish, Clacket Lane, Membury, Gordano, Exeter, Gordano again just before I cross the Bridge, Magor, Strensham,,Keele, Knutsford, Southwaite, Hamilton, Tesco Inverness on Eastfield Way IV2 7GD, Tesco Colinton Mains Drive EH13 9AH, Washington, Woodhall, Tamworth, Hilton Park, Keele again, Knutsford, Birch, Heartshead Moor, and Ferrybridge. I want this to be the BIGGEST ROLLING CLASSIC CAR SHOW IN THE WORLD, !! I WANT CARS TO COME OUT OF ALL THEIR GARAGES TO COME AND MEET AND TAKE PICS AND HAVE THE CRACK. And I’ll be rattling the bucket. There could be thousands !!!! Full route :- The Humber Bridge A15- M180- A15 south. Round Lincoln – A46-A1-A14-M11-M25- clockwise.until M4- M5 S to Exeter. U Turn. M5n – nearest severn crossing to Magor Services, near Newport. Turn to Monmouth, onto A449 - M50 – cross over to strensham services .. M5 Then back north on M5 – M6 – M74 – Erskine bridge to Fort William. Inverness – Aberdeen -Dundee – perth – underneath Edinburgh A1 – M1 – A42 – M42 – M6 north to M62 along M62 back home to Hull. ***This charity event was successfully completed in 2018 and raised �1200 for charity in 28 hours, but on hold for 2019 due to ill health. Maybe returning in 2020*** Cant-run-or-swim-so-ill-drive round UK!! This is a Guiness world record attempt�� I am starting a charity drive of about 1850+ miles around the UK in a 1987 Austin Montego. My name is Frank Hewson I have been married for 53 years and am a father of 5 and grandfather of 9. I have had type 1 diabetes for nearly 50 years, which has led to my receiving a new kidney over 4 years ago. Plus other stuff as well. Apart from that I am not too bad!! For many years now I have wanted to raise money for Diabetes UK - Kidney Research - B.H.F. - NOW I am going to do it! My facebook has a link to http://www.gofundme/i-cant-run-or-swim-so-ill-drive. Humber security services is a company in Hull that ( for free ) will install a tracker for me c/w cameras. They will set up a web page so that anyone can track me where ever I happen to be on the journey. It will give people the chance to work out when I will be arriving at any given point on the trip. I understand that I will be able to � blog � or talk to people as I am driving.